Near Glacier National Park Headquarters at the West Entrance to the Park is a road called Mather Drive that leads to the river. From this road, you can walk along the river on the old road, which is also the beginning of the South Boundary Trail. 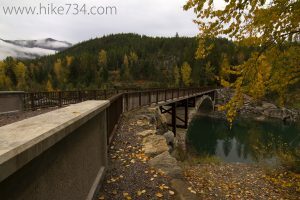 At approximately 0.5 miles in, you will come to the old bridge that motorists historically used to get into Glacier. 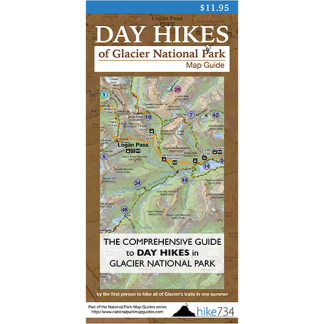 This is a wonderful, level walk that can be accessed year round. Trailhead: Turn onto Grinnell Drive towards Park Headquarters in West Glacier and then take a right on Mather Drive. Drive to the end of the road, park, and head down toward the river.